What is the Abandoned Crab Trap Removal Program? The Abandoned Crab Trap Removal Program (ACTRP) was created by Senate Bill 1410 during the 77th (2001) Legislative session. This bill granted the TPWD Commission authority to create a ten day crab trap closure that begins the third Friday of each February. Crab traps left in the water during this time are considered litter and may be disposed of appropriately. 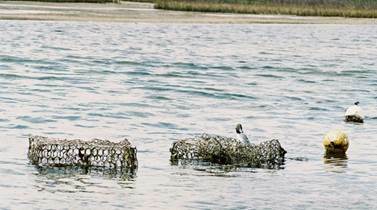 Before this law, only law enforcement officials could legally remove abandoned crab traps from Texas’ marine waters. 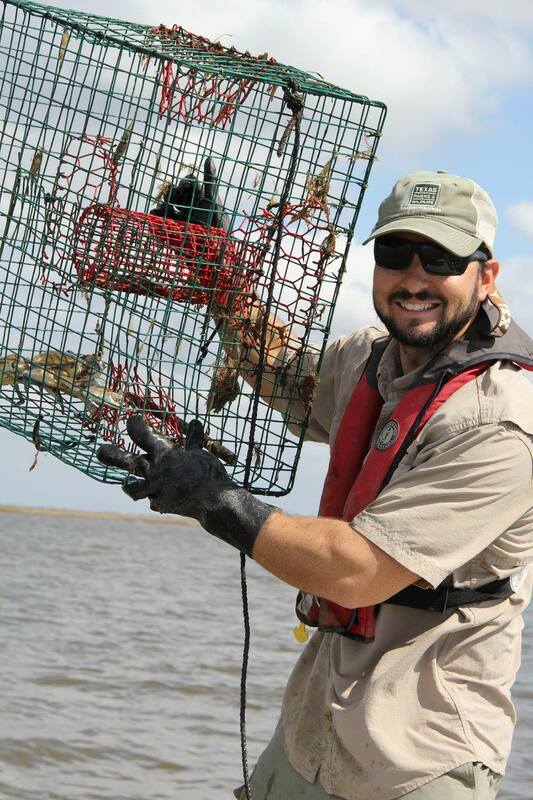 Since 2002, volunteers have removed 32,705 abandoned traps from Texas waters. Click here to view a short YOUTUBE clip. Why remove abandoned crab traps? Abandoned, lost or derelict crab traps have been identified as a significant source of mortality for a variety of organisms, many of which are recreationally or commercially important. They also create user conflicts, visual pollution and possibly have negative effects on sensitive habitats like seagrass. Not to mention the costly repairs or loss of valuable fishing time experienced by boaters and fishermen whose motors have come in contact with these lost traps. When can crab trap removal occur? Laws allow you to remove crab traps for ten day period starting on the third Friday in February. This year, the 10 day closure is from February 15, 2019 to February 24, 2019. TPWD and other organizations will provide marked disposal facilities at various locations in each major bay system for abandoned crab traps. On February 16, 2019, TPWD will help facilitate volunteer efforts at certain sites from 8:00 a.m. to noon. Those that wish to collect traps during other times can contact their nearest TPWD Coastal Fisheries office for more information. 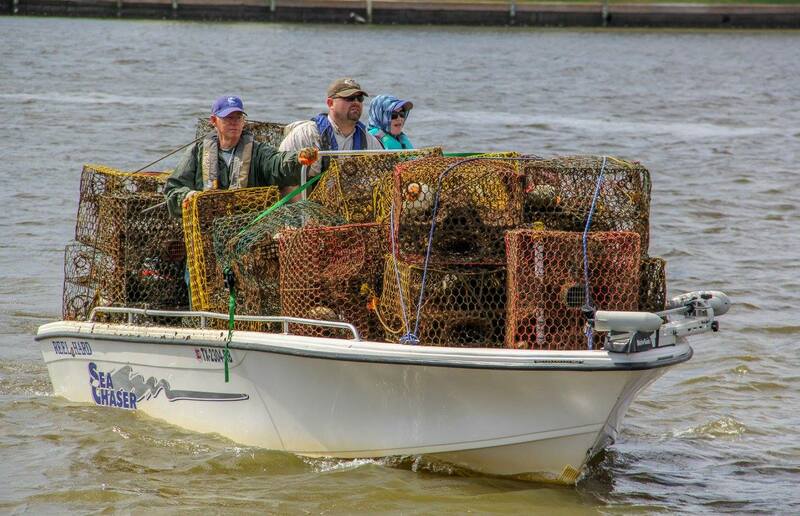 Click here to read more about why and how crab trap removal started in Texas. Many volunteers are needed to make this program work. Volunteers are needed to collect traps in the field, unload traps at the dock, count traps as they are unloaded and help out with various jobs. Many shallow draft vessels, such as flats boats or air boats, are also needed. Larger vessels can be used to shuttle traps from the field to the collection sites. Those that do not have boats can help out at the dock or arrangements may be made to pair you up with those that have brought boats, and need assistance collecting traps. Removing abandoned crab traps is a wet and dirty job. Wear appropriate clothing and wet gear, such as waders. Some items that can greatly assist in the removal of traps include tarps, trap hooks and gloves and can be provided by your local TPWD Coastal Fisheries office. Also, please wear a personal floatation device at all times. You will be required to sign a volunteer liability release form at the collection site. And don’t forget, organisms like crabs may not be retained in these traps. For more information about the Abandoned Crab Trap Removal Program, please contact Zack Thomas at 512-389-8448. You may also contact the TPWD field stations listed below for specific details on collection sites.